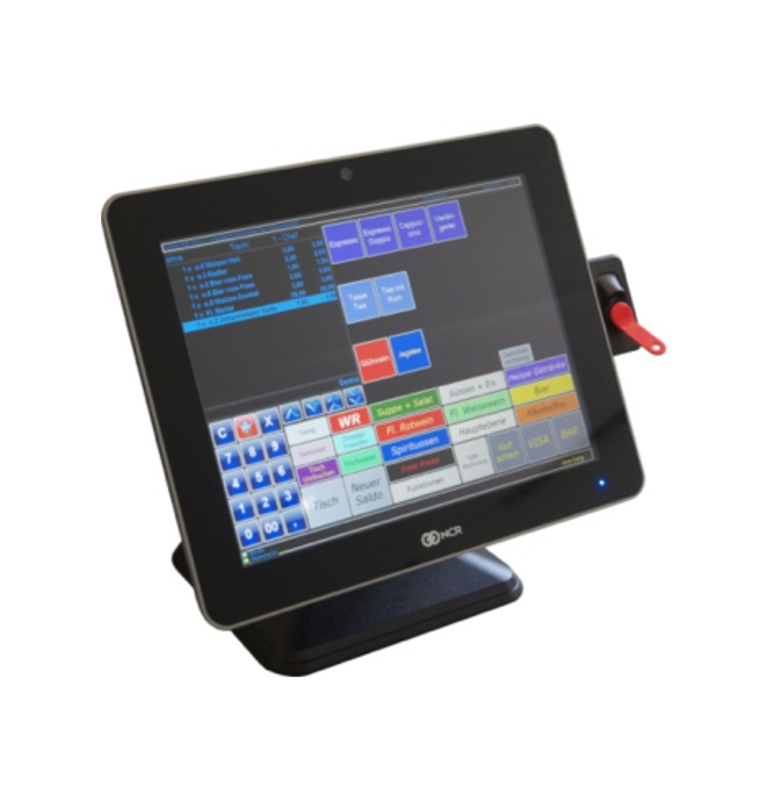 This flexible POS has a 12 “resistive TFT LCD touch screen as well as a powerful Intel processor. The fanless system is rounded off by enough DDR3 memory. The various connections also offer expansion possibilities for the future. 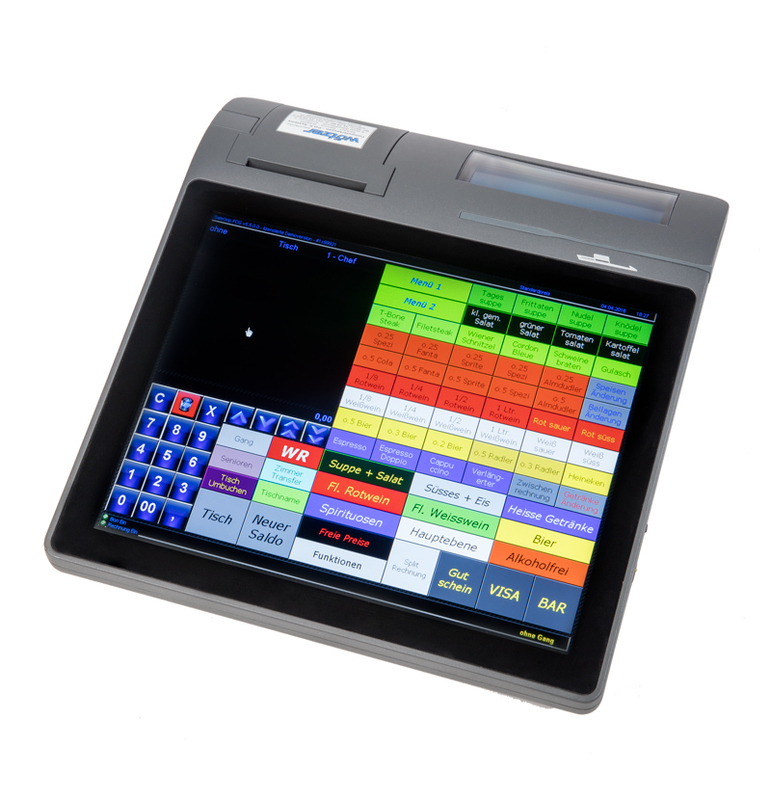 This very powerful and compact cash register impresses with the low construction (only 119mm high) as well as the rimless capacitive touch. 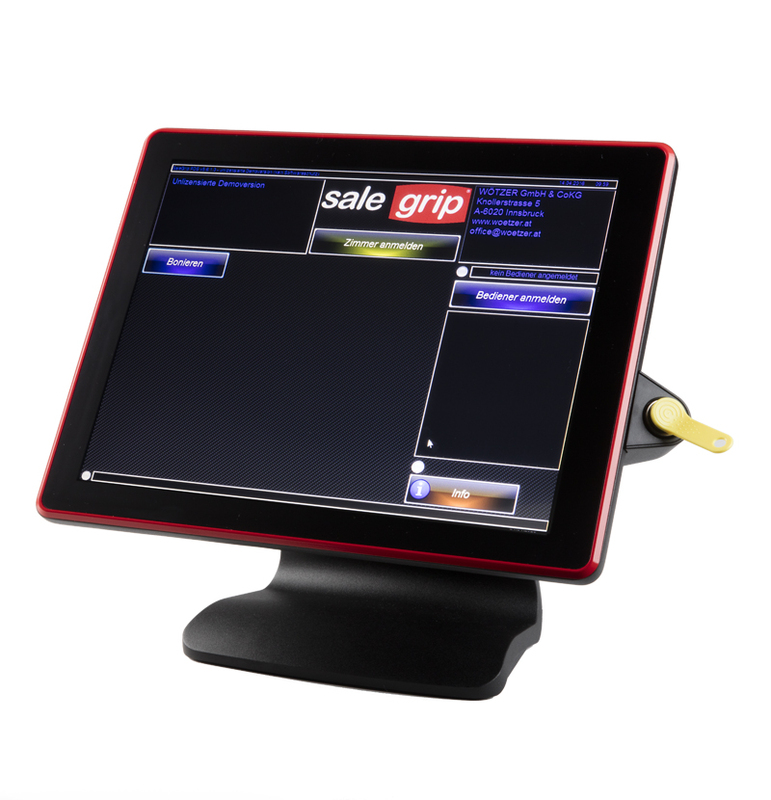 You get a system that combines everything in one device: capacitive touch, printer and software! With USB, Ethernet and RS232 connections, you are also equipped for the future and can add additional peripherals at any time! The fast 80mm thermal / invoice printer and the 2-line alphanumeric customer display leave nothing to be desired. The modern computer technology and the installed high-quality components guarantee the long trouble-free operation. This premium system impresses with the capacitive edgeless touch technology as well as a powerful Intel Celeron processor. The 4GB working and 60GB SSD storage round off the checkout system. The housing with the base is made of robust aluminum die-cast – this guarantees a firm stand and therefore trouble-free working! The front side (touch surface) is IP66 splash-proof and dust-proof and thus allows years of trouble-free working! The fast 80mm thermo-bond printer with “Easy Paperloader” and integrated Bill-Cutting-Machine allows easy handling. The Columbus 800 is the newest product of the Orderman family – MADE IN AUSTRIA. 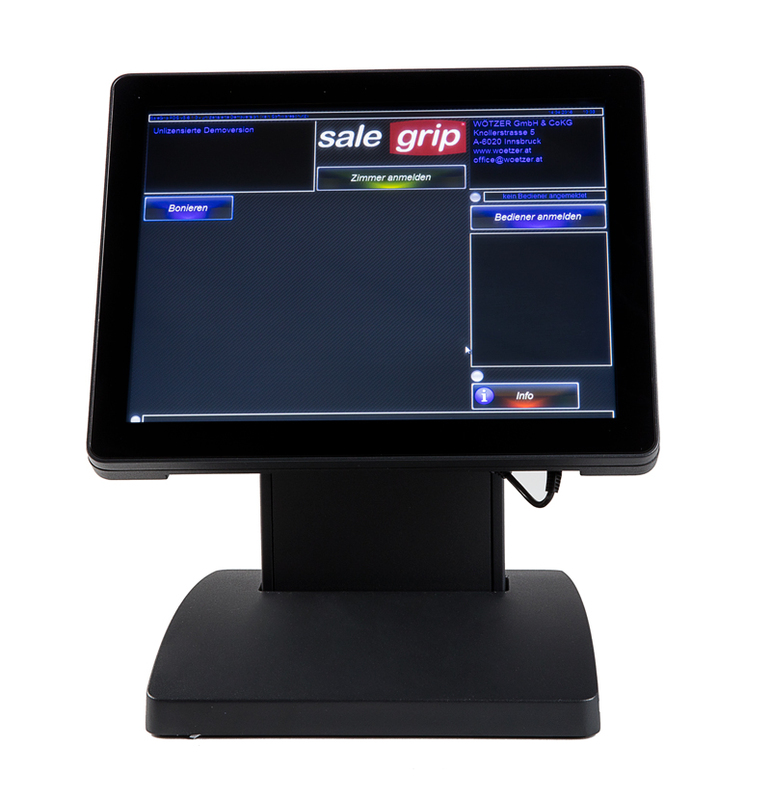 The cash register appears in a completely new design – with edgeless capacitive touch and a variety of interfaces. These also guarantee a problem-free expansion around Orderman hand tools. Hinz, as with all other Columbus models, provides the best possible operational safety thanks to the robust water and dustproof housing. New: The system can be mounted on the wall using a VESA mount!